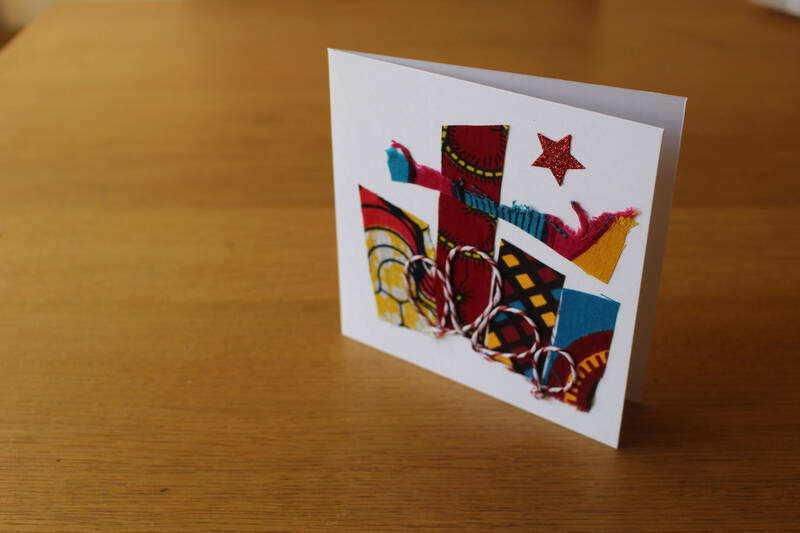 Fun and Funky African Christmas or Birthday blank cards. Simple high quality 300gsm blank cards embellished with our vibrant African Wax Print Fabrics are great for Christmas, Birthdays, Wedding invitations, baby showers, etc. Weve left the card black on the inside to leave you in control, as you know your loved ones better than us. 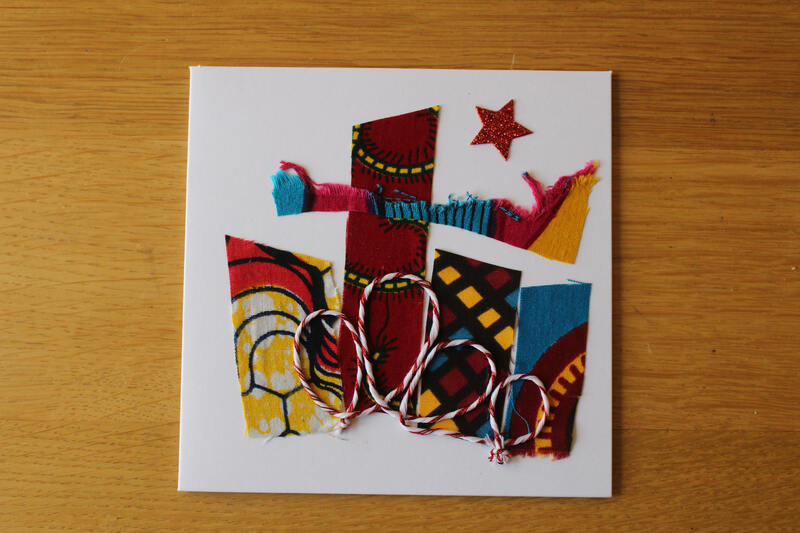 All cards are made with 100% African Wax Print Fabrics, sourced in Africa to ensure the money goes directly to the fabrics merchants on the Continent. 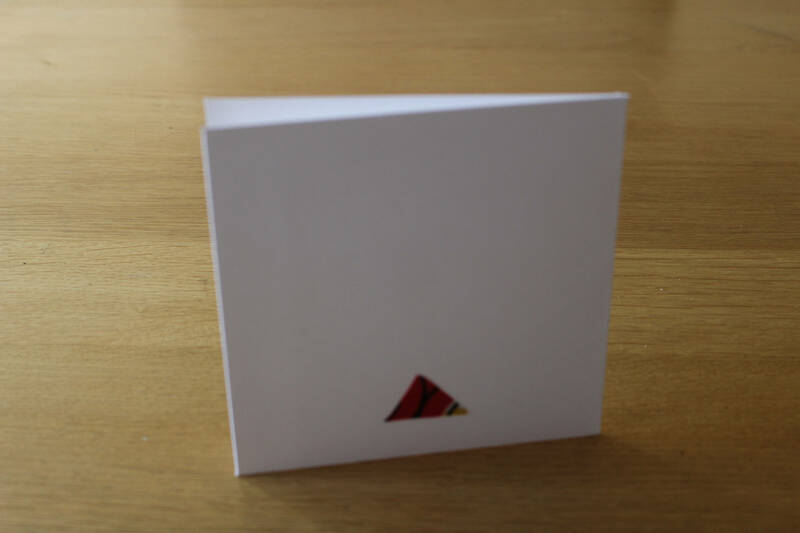 These Cards are all Square and measure 10cm by 10cm and come with a matching 120gsm envelope and a sealed plastic bag. This listing is a single card but they are also available in packs of 10 and 20. They can also be ordered in larger quantities so just pop us a message if you want more.